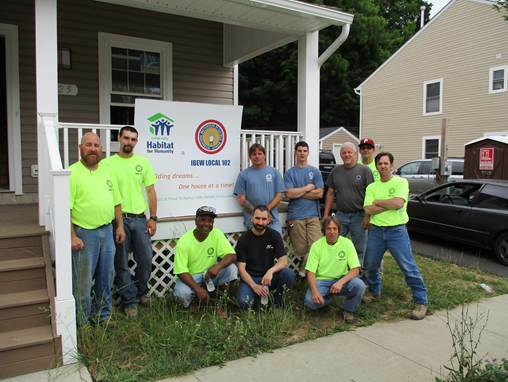 Giving back to the communities we serve is a long standing tradition at Local 102. The local Police Athletic Leagues, Boys and Girls Clubs of America, Boy Scouts of America, The 4H, American Legion and Habitat for Humanity are just some of the groups that we have a long history with. Our members are always at the forefront when it comes to volunteering their time and skills for those in need. Our Annual Motorcycle Rally and Cruise In has become a favorite among our members. A day of fun mixed with a little fund raising has raised over 130 thousand dollars in its first five years. We were happy to see 100% off the net proceeds raised going directly to our charities. 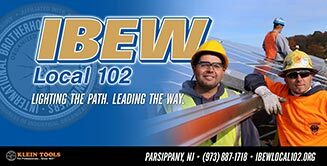 The Goryeb Children’s Hospital at Morristown Medical Center, The Seeing Eye (the nation’s oldest guide dog school which helps the visually impaired lead a more fulfilling life), Children's Specialized Hospital, and DaytopNJ are some of the charities we have contributed to. We always look forward to our next charitable event. As this is written our members are currently working on two more Habitat for Humanity homes. Building Dreams, One House at a Time!